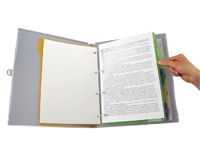 Custom tabs and pages in multiple shapes and sizes can easily be printed to highlight your products brand and designed to match your complete presentation. 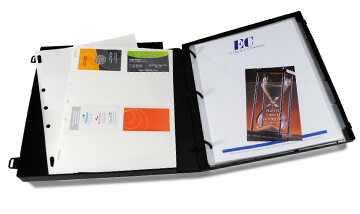 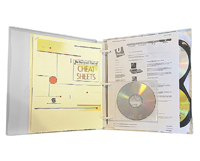 Showcase your presentation materials with our impressive organization system. 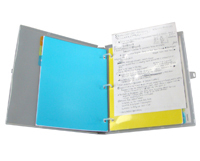 Pockets, divider tabs and protective pages can truly optimize any organization system when accessories are colorful and easy to use.